Is it just one long rose season in L.A? Certainly feels like it these days, and how lucky we are! 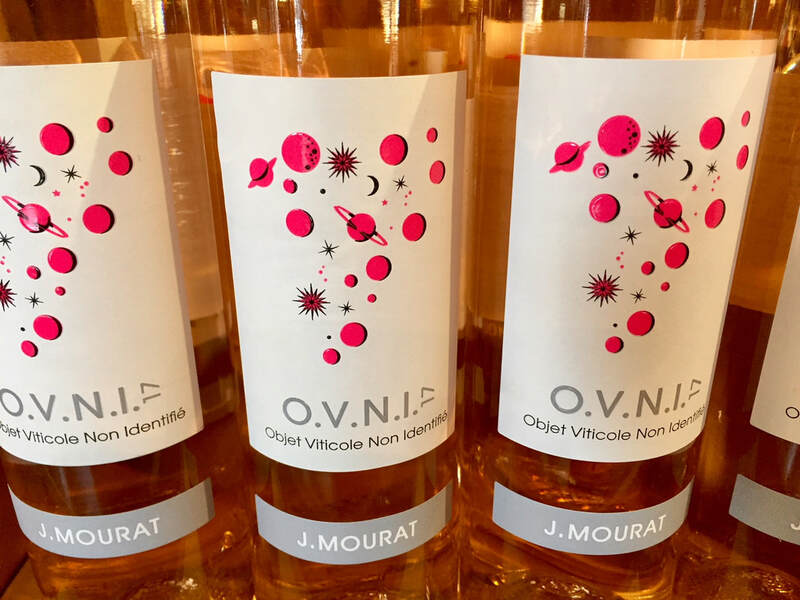 We thought we would get a jump on the old official rose season and feature this brilliant example from one of our favorite Loire producers, Jeremie Mourat. We’ve been selling his groovy wines for some time; his dry Chenin Blancs, Cabernet Francs and another rose, the “owl” bottle…). OVNI stands for Objet Viticole Non Identifie (or Unidentified Wine Object)…a way of differentiating this bottling from his regular rose from Fiefs Vendeens, near the Atlantic…this has a little more fruit-weight on the palate, but is still dry, ultra-refreshing and oh-so appealing. Only produced in exceptional vintages, this is made from 100% Grolleau Gris from 25 year old vines, fermented and aged in stainless steel and bottled after 4 months. A light salmon pink in color, there is ample ripe fresh wild strawberry, watermelon and pomegranate fruit on the nose leading to a juicy, refreshing palate of red berry fruits, blood orange, minerals and a slight saltiness. This is a lifted, pure and really thirst-slaking rose, ideal for a round of aperitifs, a laze by the pool, grilled shellfish or a simple plats de fromage..